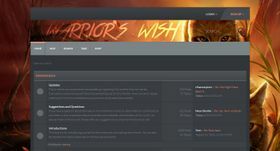 ↑ Warriors: AVOS #2, Thunder & Shadow Speculation - Warrior's Wish (2016-08-25). 访问于 2016-09-11. ↑ Characters - Warrior's Wish. 访问于 2016-09-11. ↑ ThunderClan - Warrior's Wish. 访问于 2016-09-11. ↑ Firestar - Warrior's Wish. 访问于 2016-09-11. 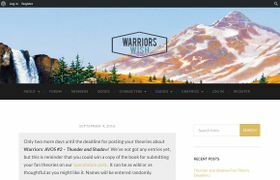 ↑ Warrior Cats Name Generator - Warrior's Wish. 访问于 2016-09-11. ↑ Coloring Book - Warrior's Wish. 访问于 2016-09-11.